The move into the new house has been a challenge, to say the least. I’m exhausted, every part of my body hurts, I’m so covered in bruises I look like I’ve been beaten by my boyfriend (which to clarify, I have not), and I have no idea where any of my belongings are except for my toothbrush and a Nemo stuffed animal. The shower broke, we had to take doors off of their frames to get furniture in, I mutilated my arm trying to pick up the couch and collapsed into tears on our doorstep out of sheer exhaustion. However, I need to focus on the positive because this will all be worth it in the end. Right? Right. 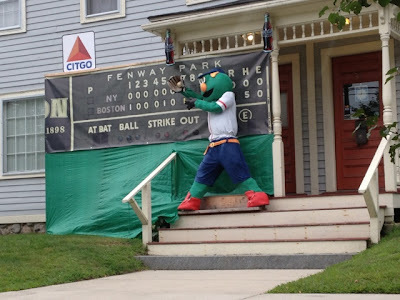 We passed this every time we made a trip back and forth from the apartment to the house. Adorable. The cable/internet install went smoothly, and now our picture is sharper than ever and internet is lightening fast. The perks of a brand new install. I’m now awoken by the sound of birds chirping and acorns falling on the ground instead of an elephant pounding around upstairs. We got our first piece of mail at the new address. Sure, it was just the USPS welcome kit for our change of address, but still! Our neighbors are SO NICE. everyone is welcoming us to the area with open arms and the best part is that most people have superfriendly dogs. I definitely got my fill of puppy love this weekend. Our landlords are great – every problem that’s popped up has been handled really quickly, and that’s really all you can ask for. Plus they’re just really nice people. We still have a lot of stuff we need to pick up to get organized, and a TON of unpacking to do… But we’ll get there. 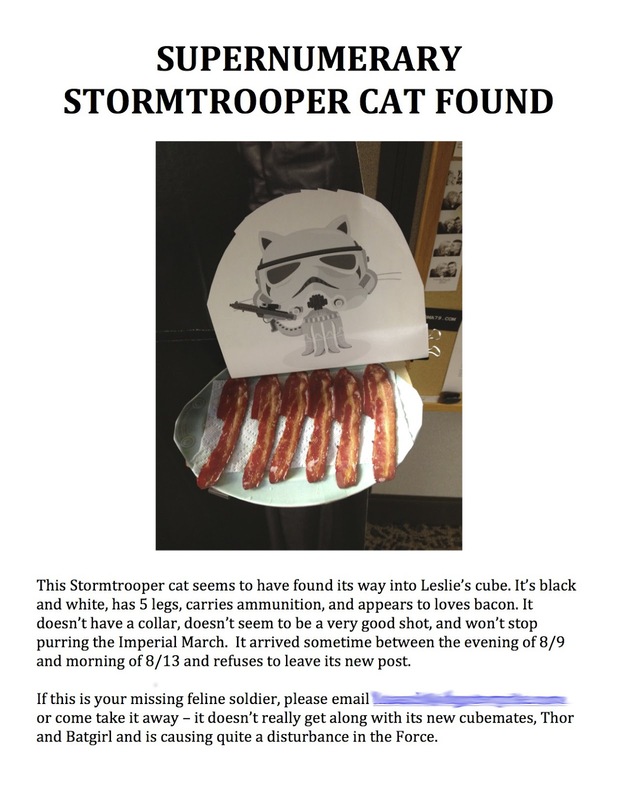 In unrelated news, is anyone missing a supernumerary Stormtrooper cat?